I wonder if, like me, you are often startled by the speed of everything in our world today? Some of it is good, like a good internet connection for example, but much of it is so negative. I’m sat here typing this in my study and as I do so I can see the madness outside of my window; cars careering down Rocky Lane at stupidly high speeds, often on the wrong side of the road, just to end up sitting at a red light like everyone else! What is the point I ask!? Life seems to inflict this urgency upon us and unwittingly we often accept it and even comply. But as always, there is good news. We are approaching my favourite time of the year. Advent, Christmas and Epiphany have always been very special to me, just as well I suppose me being a vicar & everything! The good news I speak of is the season of Advent, God has provided us an opportunity to slow down and reflect on the true meaning of life in these four weeks preceding Christmas. We should remember that Advent is four weeks for a very good reason; we are blessed by four weeks of rest & reflection. Yes, it is a busy time, preparations for Christmas can be hectic, but only if we allow them to be. Parents and Grandparents are under particular pressure to get things right for their children and families because they want the very best for them. Quite right too but it doesn’t help anyone if you are burning yourself out in the process. God is being patient with us, He is allowing us ample time to listen to Him, to respond and to take action to ensure our future in His coming Kingdom. 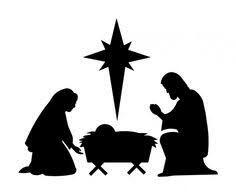 He gives us Advent to reflect on His great gift to humanity, that of His Son on that first Christmas day. He gives us faith that whatever this world may throw in our way He has made us a promise. All we need to do is take time out and listen to that promise. And so what can we do to help ourselves slow down & reflect? Well St David’s has plenty going on over the coming weeks, much of which is listed over-leaf. Why not make time in your busy-ness to come along, to enjoy and to prepare for the great Christmas feast? I take this opportunity as your vicar to give you every blessing for a peaceful, reflective and God-filled Advent. For a Happy & Holy Christmas. For an Epiphany filled with the revelation of the great love of God, and of course for an extremely happy 2018.